Around ten kilometres south of the Nuorgam village is Alaköngäs waterfall on the Tenojoki River. Alaköngäs waterfall is a spectacular whitewater area that is particularly favoured by people fishing for salmon. Alaköngäs is also the departure point for the historic Museum Road (Museotie). 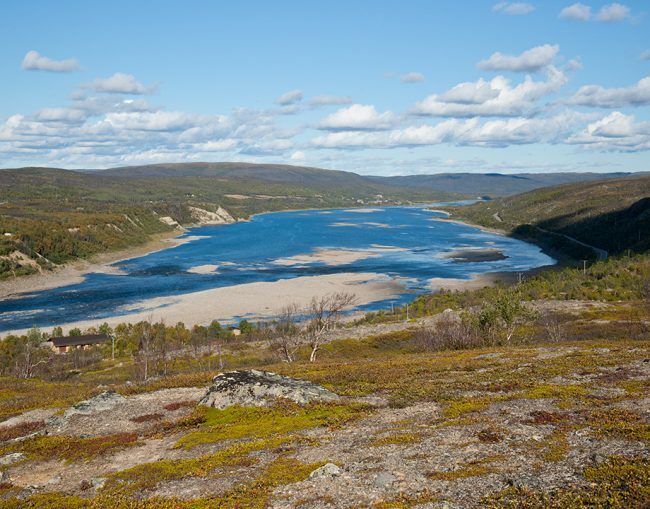 The River Tenojoki covers a distance of 250 kilometres, and is a sub-Arctic boundary river between Finland and Norway. It is a well renowned and popular fishing river, as well as being the largest and most fish abundant salmon river in Northern Europe.